Make free calls with a real US phone number. Textfree Voice is ideal for calling because it comes preloaded with 60 free calling minutes that can be used to call anyone in the U.S., Canada, or Mexico. After that, minutes are free to earn or cheap to purchase. And as the name suggests, SMS messages are also free. 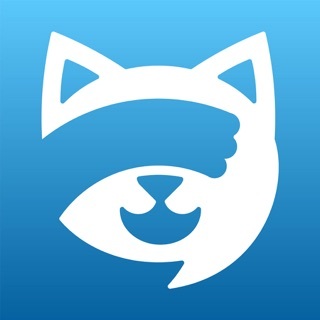 chat, real MMS picture & video messaging, emoji, ringtones, and more. • When roaming, additional carrier data charges may apply. Contact your carrier for details. • If your contacts aren’t on Textfree, they might have to pay regular carrier charges for texts and pictures. trademarks of Pinger, Inc. or related entities. Like clockwork, every few weeks we make updates to Textfree Voice to keep things running smoothly. We just made one of these updates and would love to hear what you think of it. Write a review! I have been using TextFree for quite awhile now. It is absolutely free calling, texting and voicemail. It works very well as long as you are connected to a reliable WiFi. The only problem I’ve ever had is sometimes when I answer an incoming call, the call drops. However, I do use this service instead of my Paid Cell Phone Service for when I don’t want to give out my Paid Cell Service Number such as surveys. I also use my TextFree number for friends and family who don’t have a paid cell service phone number so that I can text or call them free of charge. This is my back up phone number when I don’t want to receive telemarking calls. I am giving it 4 stars. I took off one point for the dropped calls. Otherwise it’s a pretty good service and is completely free to other TextFree numbers, any and all incoming calls are also totally free. As long as you make or receive one answered call or send atleast one text per month, you will not lose your selected phone number. I also like that you can watch videos or ads to gain extra minutes to make calls to non-TextFree numbers. Incoming calls and incoming and outgoing text messages are always free. I would definitely recommend this app for anyone who is looking for a Free WiFi calling and texting service. Hi there, thank you for the very thorough review. It's great to hear Textfree is helping you ward off telemarketers, save money with your paid cell plan, and keep in contact with your loved ones that don't have a cell plan. As for your dropped calls, a lot of times these issues are linked to network strength. If this happens again, check to see if your connection is "Excellent". If it is, email us at reviews@pinger.com. We'll look into what's going on. Hi Michael, thank you so much! Nothing makes us happier than hearing you and your family are happy with Textfree :)! I have used this app for a few years and finally feel I should review it. It was great. You do get what you pay for and it didn't cost me anything so it was wonderful being able to text or make calls free. I didn't always get the free minutes the the tap joy offers but I had time to waste so no big deal. I never wanted to rate it but now that I am unable to use it anymore I will say this: It was great when it worked. Update after update changing the appearance and including stickers (causing some dialogs to be lost upon update) and everything else was frustrating but the whole "free" part made it easy to deal with. Now with the most recent updates I could not send pics and now I can't even send a text without closing the app and starting again a few times. Now that it has been updated beyond use I give it 3 stars to give it credit for when it worked. I would give it 0 stars for the performance over the past few weeks. Looking for a replacement app after rating. Disappointed. Hi there, we're so sorry you're dealing with these issues. You should be able to send and receive texts/pictures without any issues. Since this doesn't seem to be happening, email us at reviews@pinger.com. We'll look into the situation immediately. © 2019 Pinger, Inc. All rights reserved.